Most of the materials concerning Before Closure are fixtures and fittings left by the city council. There are informational signs for the Turkish baths, the sauna etc, alongside other objects which are quite simply beautiful artefacts that resonate from times past – particularly the large Edwardian brass and hard rubber plug and the cast iron boiler taps. 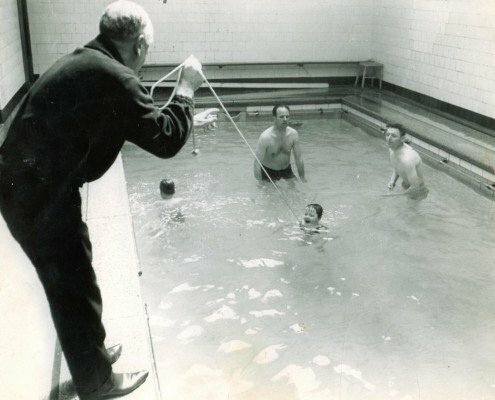 We have some black and white photographs of children being taught how to swim with a rope tied under their arms – certainly not a method used today and we recently found blocks of pink carbolic soap in an old cupboard in the basement, although moulding, the sight and smell of these brought memories flooding back for many visitors at Doors Open Day in 2014. 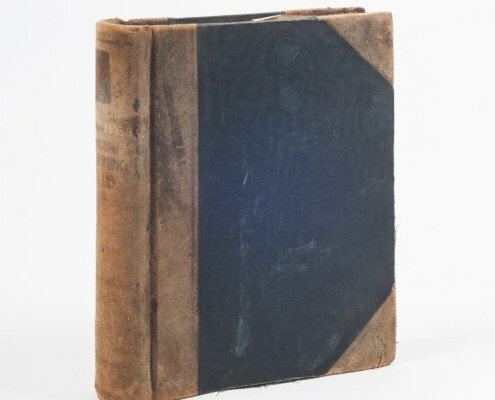 We are extremely grateful to Mr Joseph Welch, former secretary of The Govanhill Amateur Swimming Club who donated the hand written, leather spined minute book, embossed with the clubs’ name, which covers the period 1935-68. He also donated a swimming pool lane separator in storage wheel, from the same period. These are invaluable and unique acquisitions to the collection and we hope to secure more donations or loans. 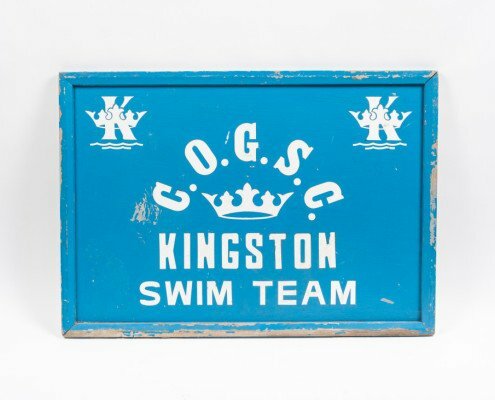 We are particularly interested in photographs, swim wear, trophies and certificates – in short any information that is a record of activity relating to the Baths or the steamie between 1917 and 2001.